The BAUR tracy partial discharge inductor induces a signal at the apparent fault location in the cable from outside. 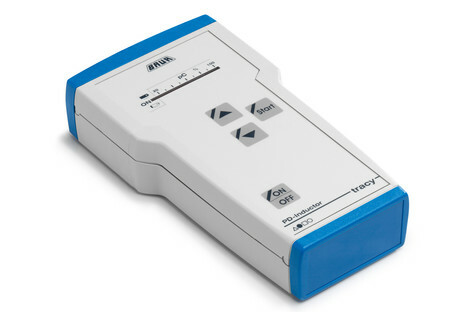 In combination with any PD measurement system, e.g., PHG TD/PD, the induced signal can be located and compared with the result of the partial discharge pre-location. The partial discharge location can thus be determined precisely.